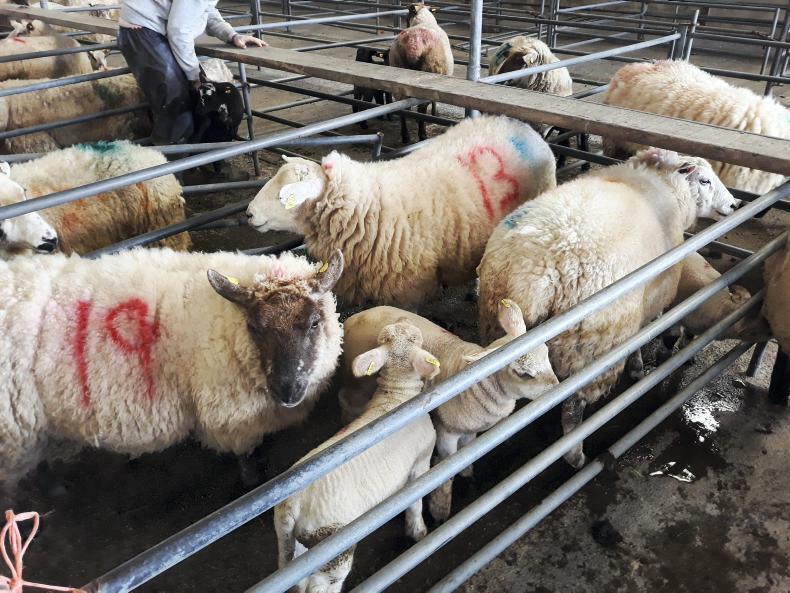 Saturday’s sale had a much larger entry of cull ewes and hoggets, while there was an excellent trade for a strong entry of ewes with lambs at foot. 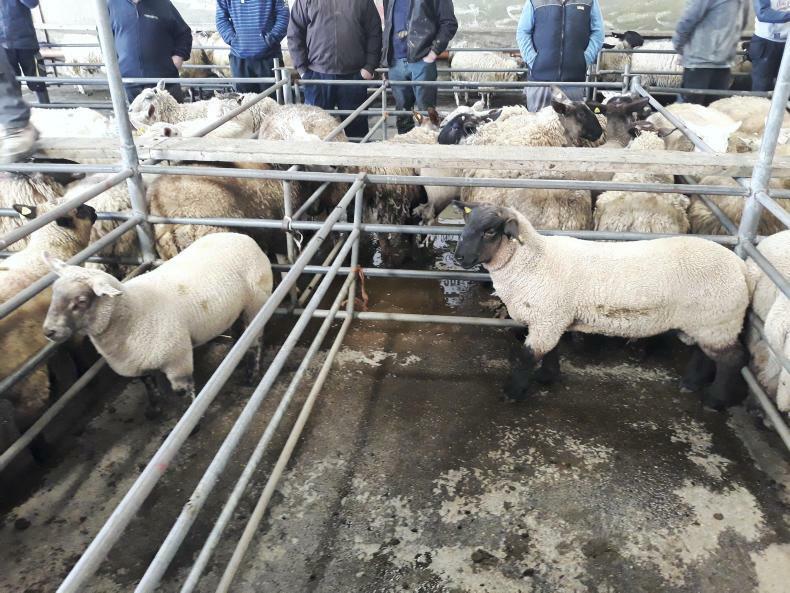 The two Charollais-cross spring lambs on the left weighed 54.8kg and were bid to €135 but not sold. 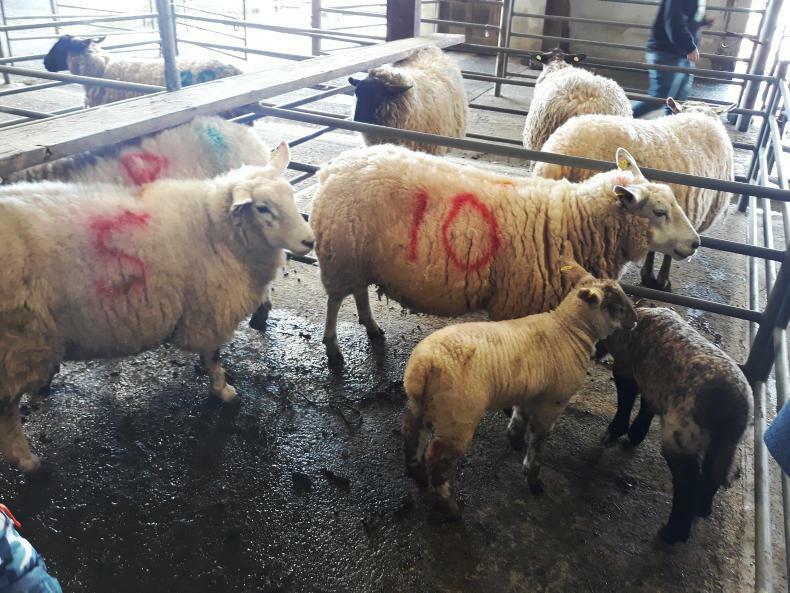 The two 50.3kg top-quality spring lambs on right sold for €140 (€2.78/kg). 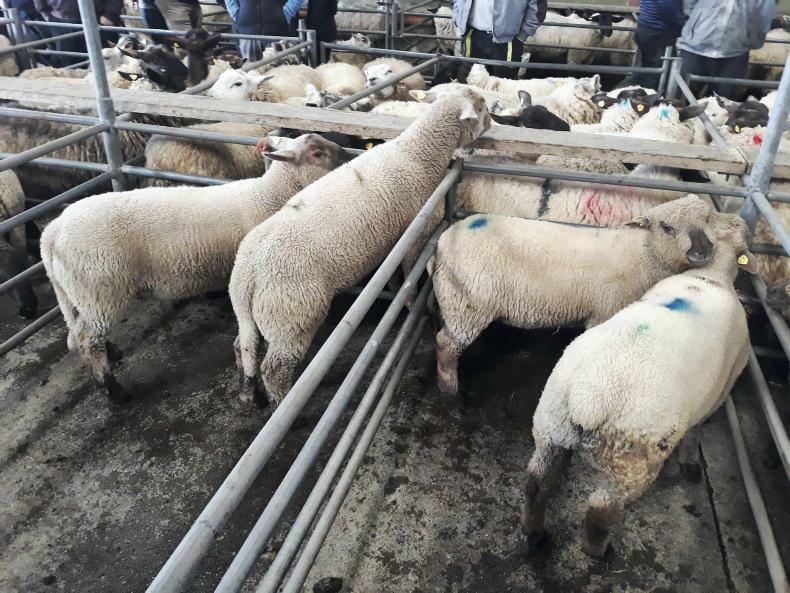 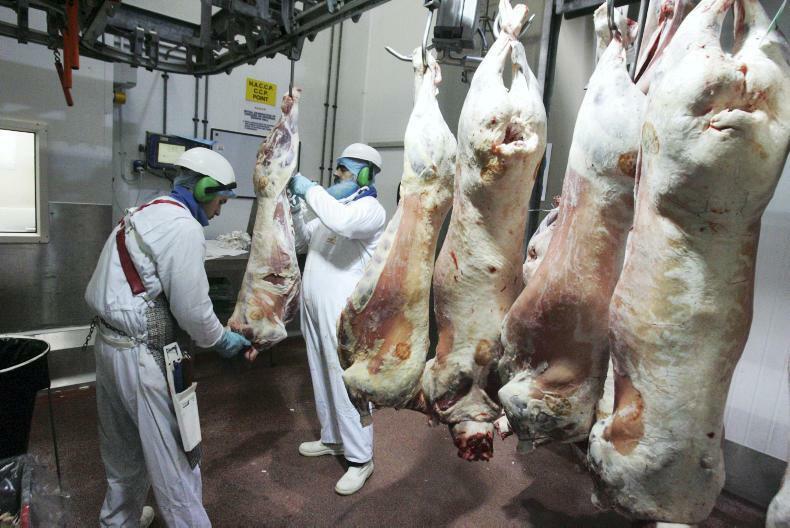 The fleshed Charollais-cross spring lamb on left weighed 40.5kg and sold for €131.50 (€3.25/kg), while the 53kg Suffolk lamb on right sold for €140 (€2.64/kg). 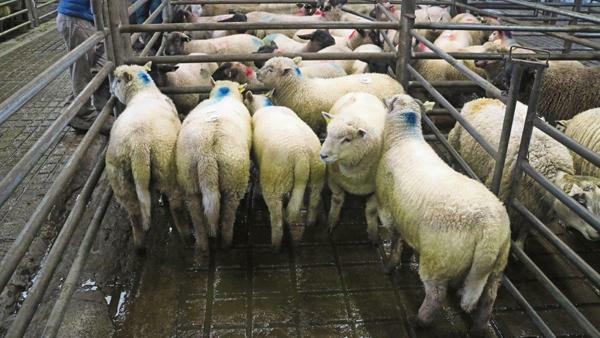 These two aged spring lambs on the left weighed 42.5kg and 40.6kg sold for €110 each (€2.59/kg and €2.71/kg). 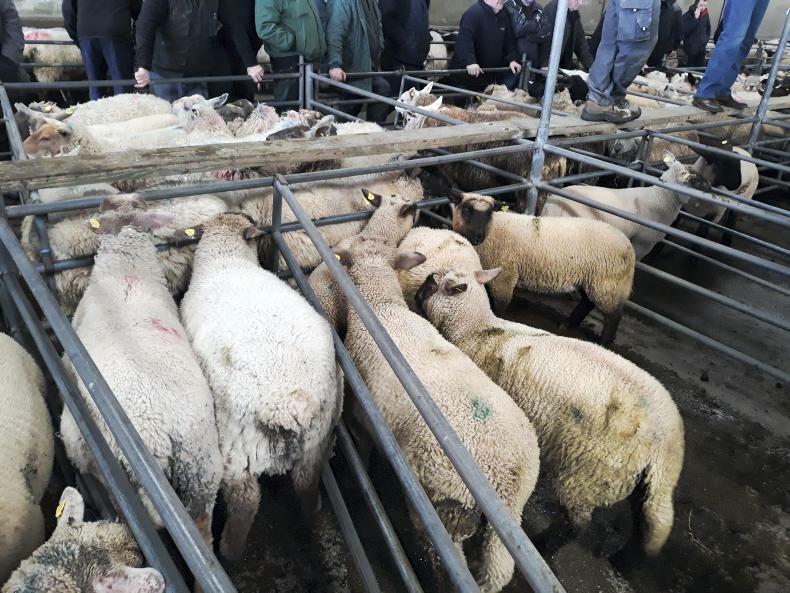 Five Texel wether hoggets weighing 50.5kg sold for €115 (€2.28/kg). 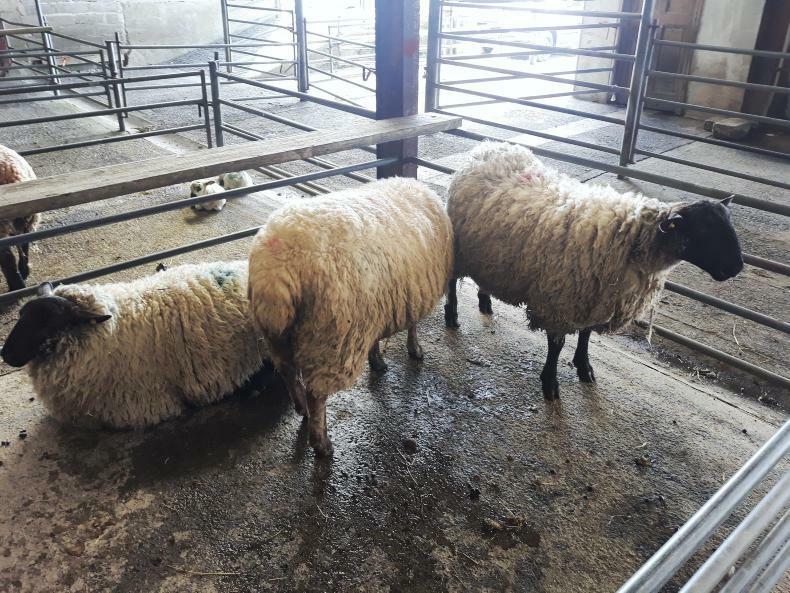 The fleshed young Charollais hogget on the left weighed 49kg and sold for €134 (€2.73/kg), while the Texel ewe hoggets on the right weighed 53.6kg and sold for €123 (€2.29/kg). 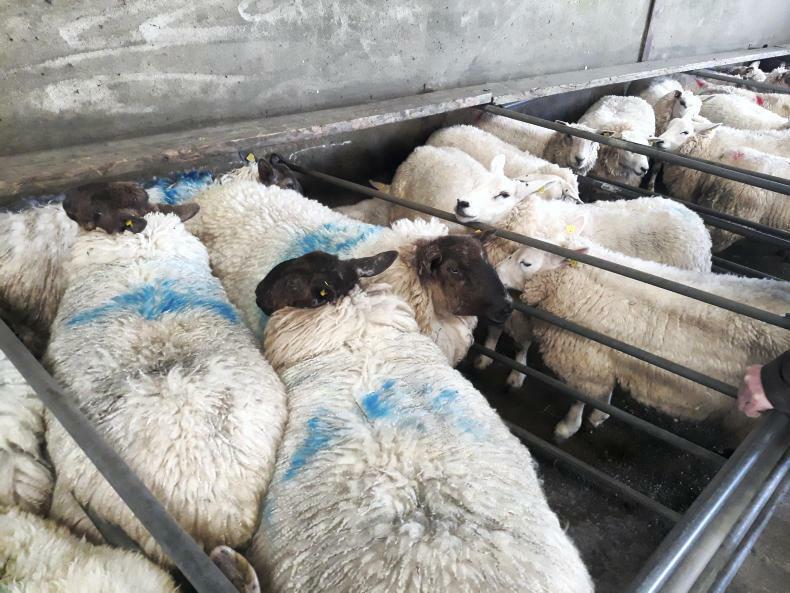 This pen of 15 mainly Suffolk ewe hoggets along with some Texel-cross ewe hoggets weighed 60kg and sold for €125 each. 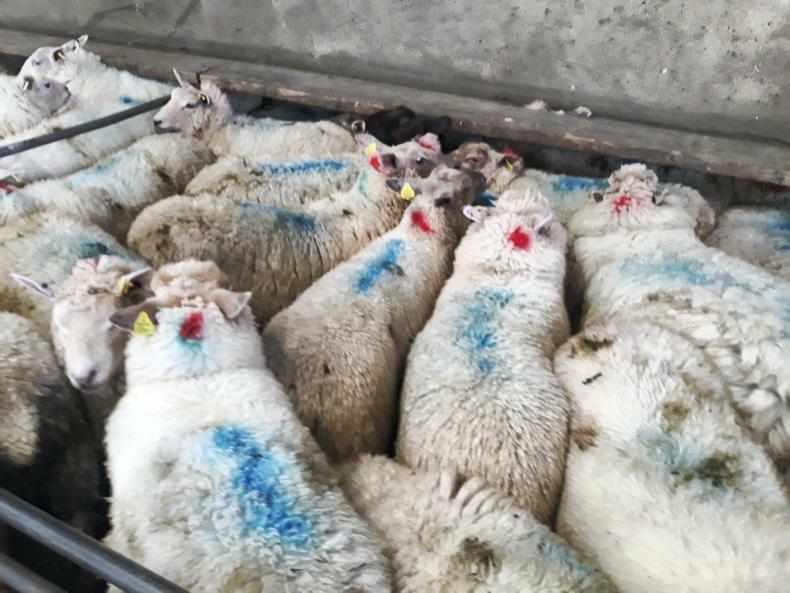 These 13 Texel hoggets weighing 53.6kg sold for €125 (€2.33/kg). 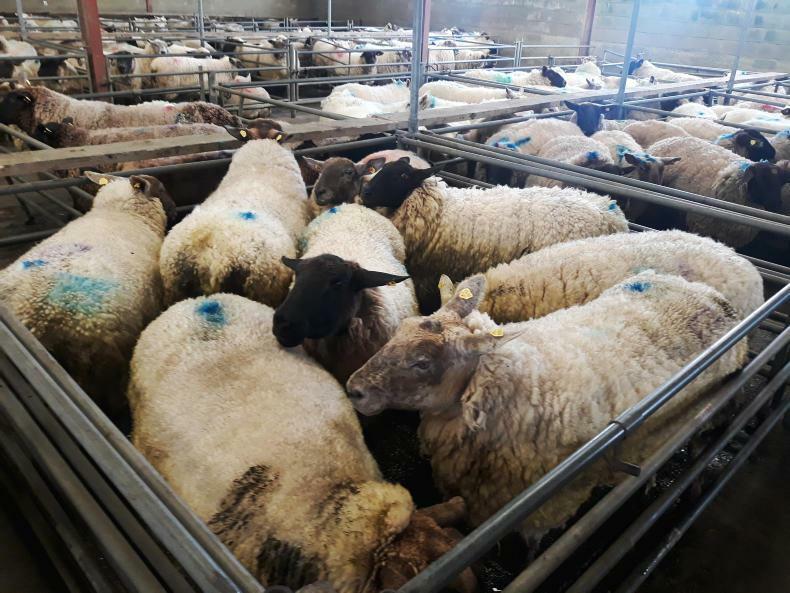 These 18 Charollais-cross store lambs with a good cover of flesh and weighing 45.2kg sold for €115 (€2.54/kg). 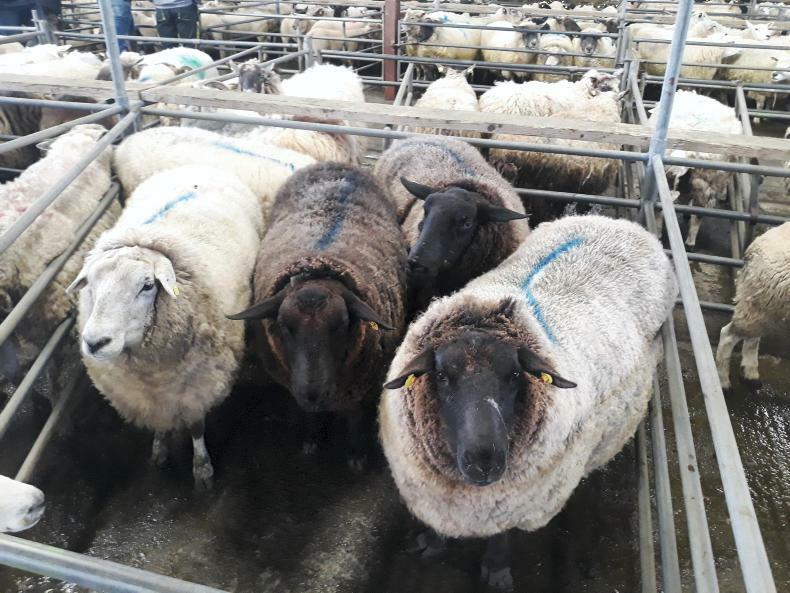 These four large Suffolk-cross ewe hoggets weighing 71.4kg sold for €136 each (€1.90/kg). 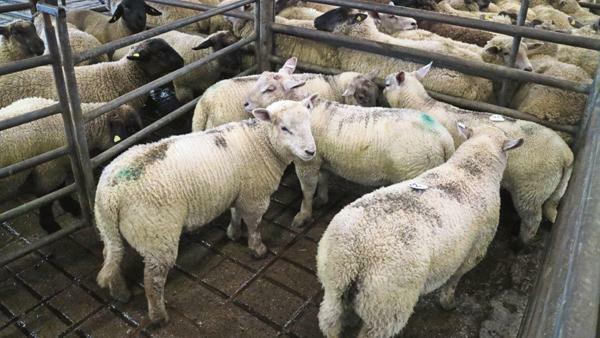 This pen of large-framed cull ewes sold for €115 each. 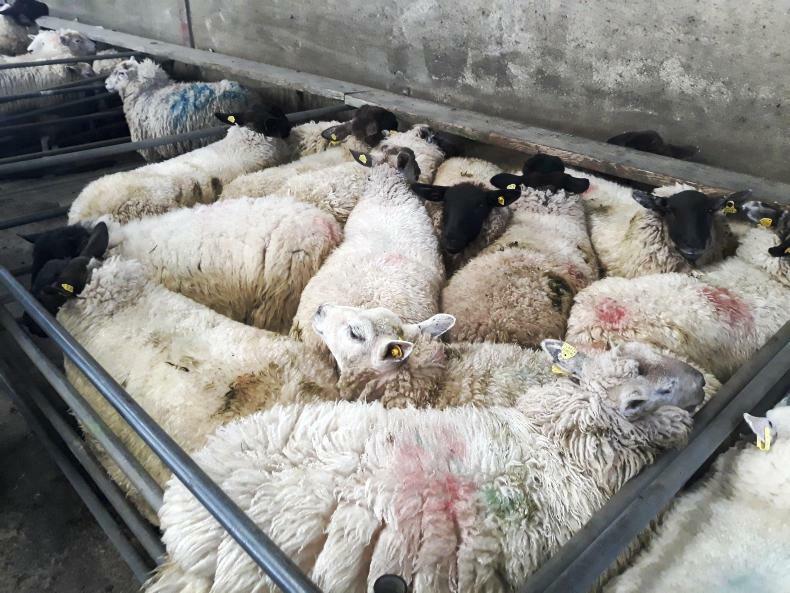 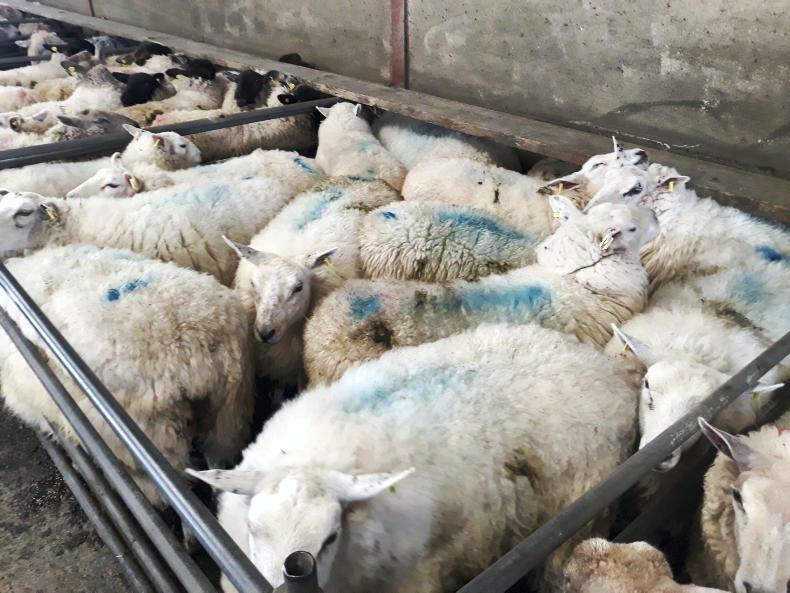 This pen of mixed-breed fleshed cull ewes for €115 each. 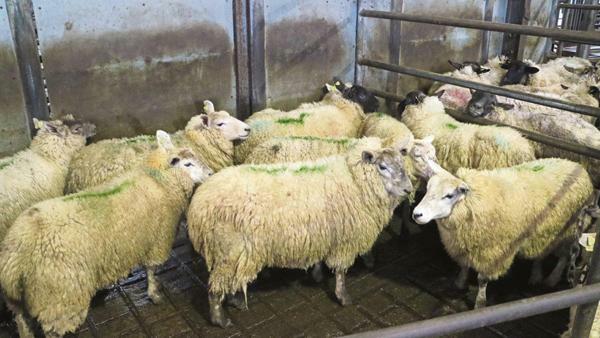 This pen of mixed-quality Suffolk ewes with varying levels of fat cover sold for €100 each. 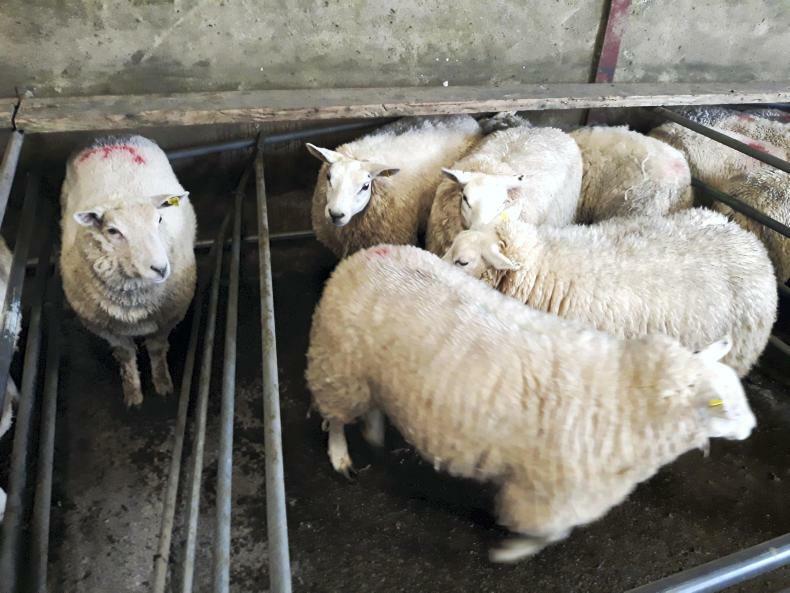 These three large-framed yearling Suffolk-cross hoggets carrying twin lambs and on the point of lambing sold for €179 each. 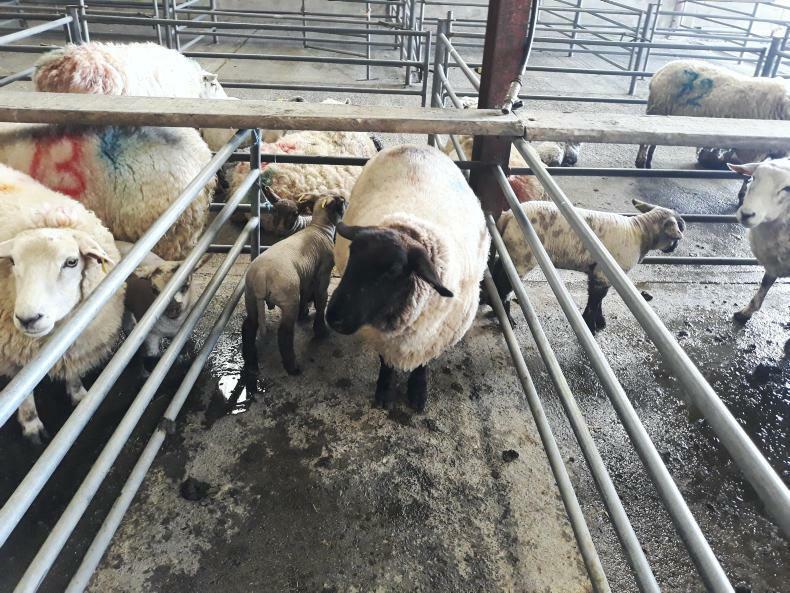 This medium-sized Suffolk hogget with two Charollais lambs at foot sold for €240 each. 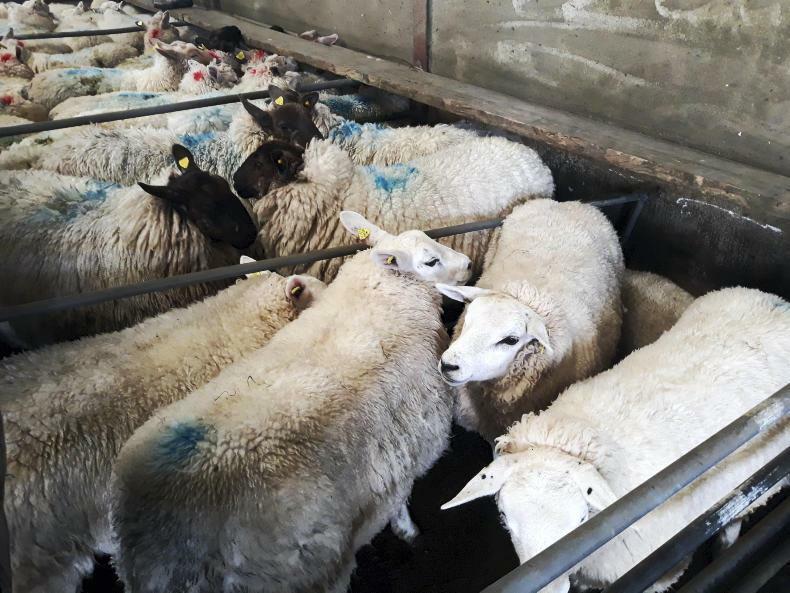 These full-mouth Texel-cross ewes with a single lamb at foot sold for €182 per unit. 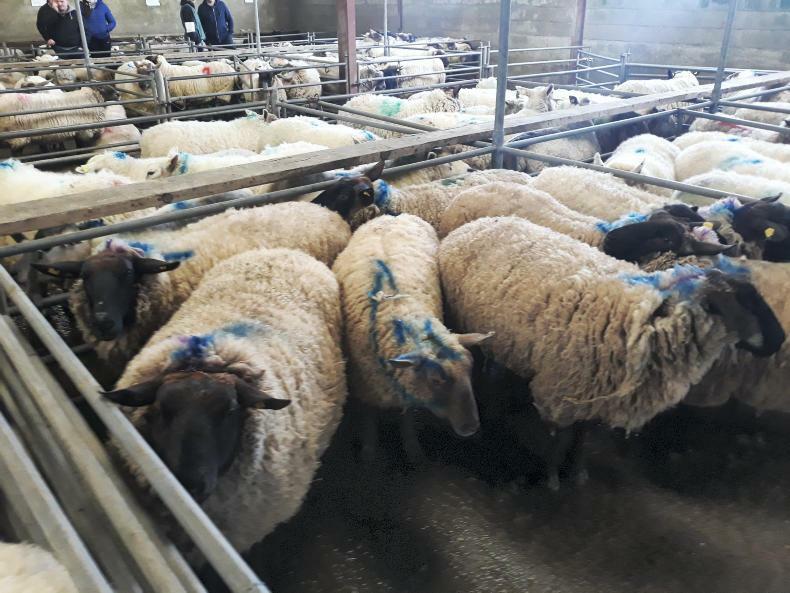 This pen of full-mouth Texel ewes with super-quality single Suffolk lambs at foot sold for €189 per unit.